Word on the street is that director Kathryn Bigelow and screenwriter and former journalist Mark Boal (the pair that brought us The Hurt Locker) were working on a related but different film when Seal Team Six killed Osama Bin Laden in May 2011. Bigelow and Boal then shifted focus and received unprecedented access to possibly classified files and people’s stories in order to bring us the true-ish story of “the greatest manhunt in history,” the search for public enemy number one. 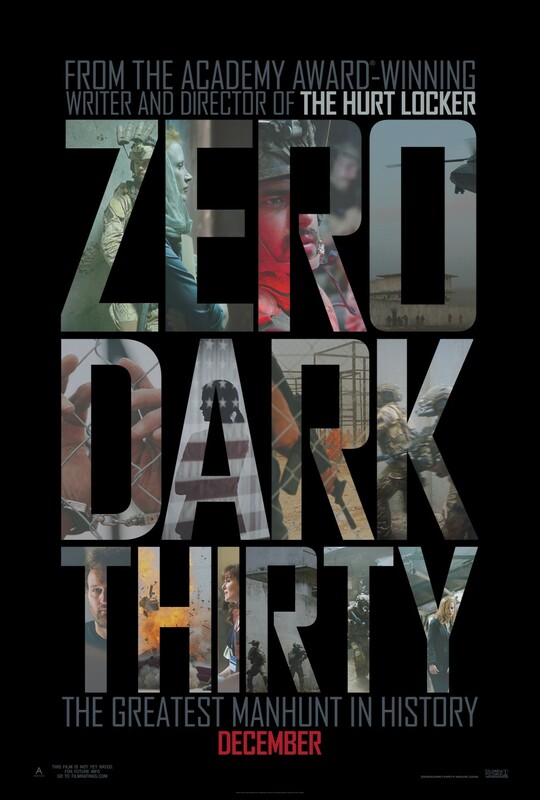 Zero Dark Thirty is a gripping tale that is unflinchingly directed and wonderfully acted (particularly by leading lady Jessica Chastain). Though some might find it difficult to watch (there are scenes of torture and many may still be processing the recent history) I found it to be thought-provoking and slightly empowering. The decision for a nation to deliberately kill someone - even a terrorist - is a complicated one. I remember hearing the news “we’d” gotten Bin Laden and watching President Barack Obama talk about what happened. I felt an odd mix of pride in my country and its leadership and military but also slight embarrassment at the pride because, after all, we killed someone. Should we really be celebrating? These emotions flooded back as I watched Zero Dark Thirty (the phrase, by the way, is a military one meaning extremely early in the morning), especially watching the flood of emotions expressed on Chastain’s face when she saw the dead body. This got me thinking of Homeland. (I was also thinking about Homeland because, as in the show, in Zero Dark Thirty the expert on our perceived biggest enemy and the one calling the shots is a young woman (Claire Danes on Homeland and Chastain here). More on that in a moment.) In the penultimate episode of Homeland’s second season, Carrie Mathison and crew finally got Abu Nazir, the Bin Laden-like terrorist mastermind that Carrie had been chasing for years. Everyone seemed to feel relief. But then, in the season finale, the CIA itself was attacked, and Sergeant Brody suggested that Nazir being killed and this latest attack was part of the plan all along, that Nazir allowed himself to be captured in order to lull us into a false sense of security. This begs the question that many people asked after we got Bin Laden: are we actually safe now? In Homeland, Nazir tells Carrie that he and his people are prepared to continue fighting for thousands of years, as long as it takes to right the wrongs they perceive. I can’t help but presume that Bin Laden and his people take a similar view. So just because we got the mastermind behind one terrorist attack does it mean we are safe from all future attacks? I don’t ponder this to make myself or anyone feel less safe, but rather to debate the virtue of tenaciously going after just one person. The men are impressive, too, though. Director Bigelow has assembled a terrific ensemble that includes Clarke, Chris Pratt (best known for Parks and Recreation but effective in last year’s Moneyball) Jeremy Strong (The Great God Pan), Kyle Chandler (Friday Night Lights), James Gandolfini, Mark Duplass (The League), Reda Kateb, Mark Strong (a great under-the-radar actor whom you’ve probably seen in multiple films) and Harold Pirrineau (Mercutio in Baz Luhrman’s Romeo and Juliet). 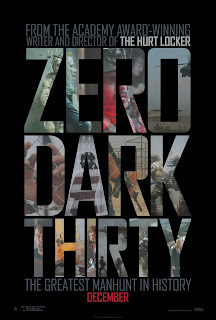 Zero Dark Thirty is certainly not for the faint of heart but it seems somehow important to see this depiction of a true story, almost patriotic to be presented with this version of the truth and to ask questions. Blistering writing, directing and acting hold us firmly in our seats as this procedural drama snakes its way to a riveting action finale.